This is no news as everyone knows that shoes are supposed to get torn after a long and rough use. Any shoe will eventually wear down and when it comes to the hiking boots the chances are tremendously high. The wear and tear that hiking boots go through are nothing compared to our everyday sneakers. 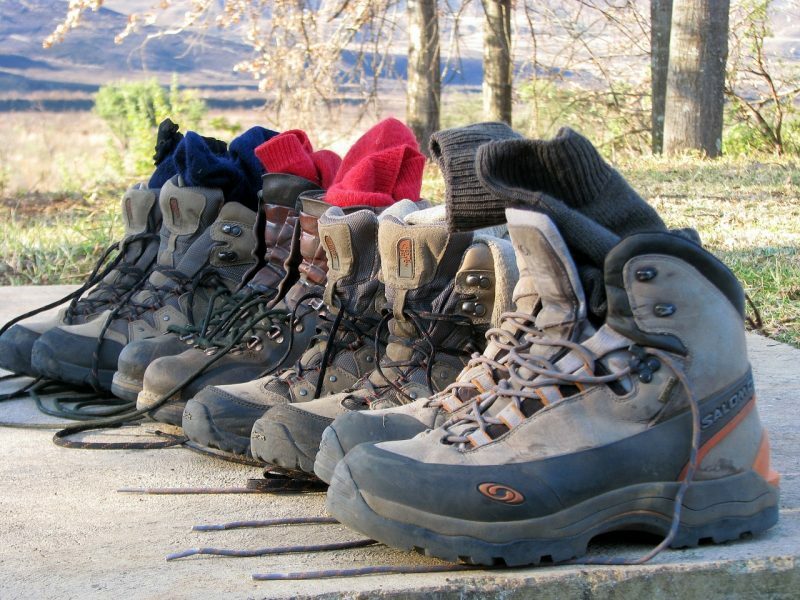 Many hikers prefer to buy good quality hiking boots. And these boots will cost them a large amount of money. So it makes sense to take proper care for these boots. Doing this will actually make the life of the hiking boots a little longer. Any shoe, when taken care of in the proper way, will last longer eliminating the need to buy a new pair of shoes. 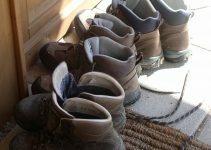 Following these steps will help in taking care of your hiking shoes. 1. When you first purchase the hiking shoes give it a try and get used to it. So it is better to first try walking in your hiking shoes inside the house rather than outside. This process is called breaking in the shoe. After this try it outside during small walks and then move on to small hikes. It is important to check the boots before every hike and make sure there is no need for any repair. 2. Before the hike, make sure if any waterproofing is needed for the shoe. This will avoid any major wear and tear at the later stage. This also depends on the material of the hiking boots. The product for waterproofing will mostly be based out of oil when it comes to leather boots. For the ones that are fabric based, there are silicone based products. Also, check on the shoelace and if any cracks are there in the leather. 3. During the trip, it is important to clean the shoe regularly in between intervals. The debris has to be removed after every hike and should be done at the camp if possible. By tapping the boots upside down possible dirt and dust can be removed. The mud can be removed with the help of a stick or pocket knife particularly in the area around the sole. 4. While keeping the boots idle whether it is in the tent during the hike or whether it is over, make sure to stuff newspaper in it. This will allow the boots to be in shape. Regularly dry the shoe, but never dry it in direct sunlight. 5. Do not stuff your socks into the boots and keep enough pairs of socks to rotate and wear. When you do this the wetness of the shoe can be reduced. If the hike is during the winter season make sure the boots are not left out as it can freeze and the possibility of cracking is there. Once the hike is over make sure to clean the shoes before storing the shoes. It is advisable to wash the shoes in warm water after removing the dirt and a cleaner can be used. Regular care for these boots will make sure it has a long life.